Buck the trend, get a wagon! After three years on the market, the Opel Mokka gains a new front end, a redesigned interior, a new engine, and a new name. PSA has been attempting to reduce the number of platforms across its brands and increase more ‘sharing’ within the family. 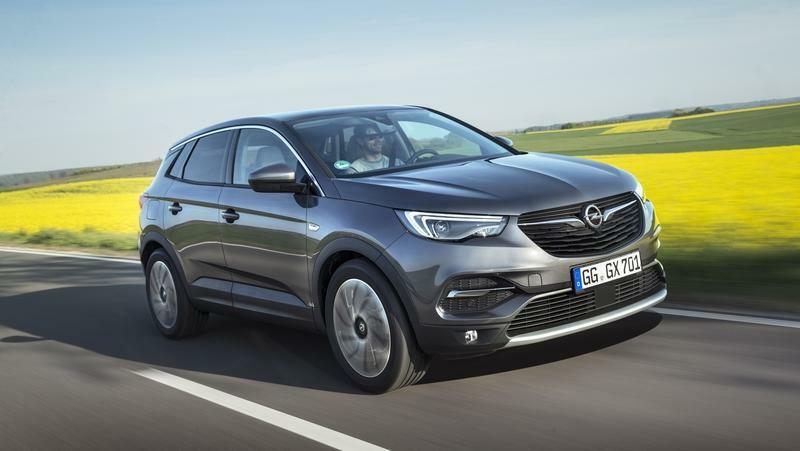 As such, Opel and Vauxhall will be using the EMP2 platform for the Astra L. The same platform underpins other products including the new Grandland X SUV. 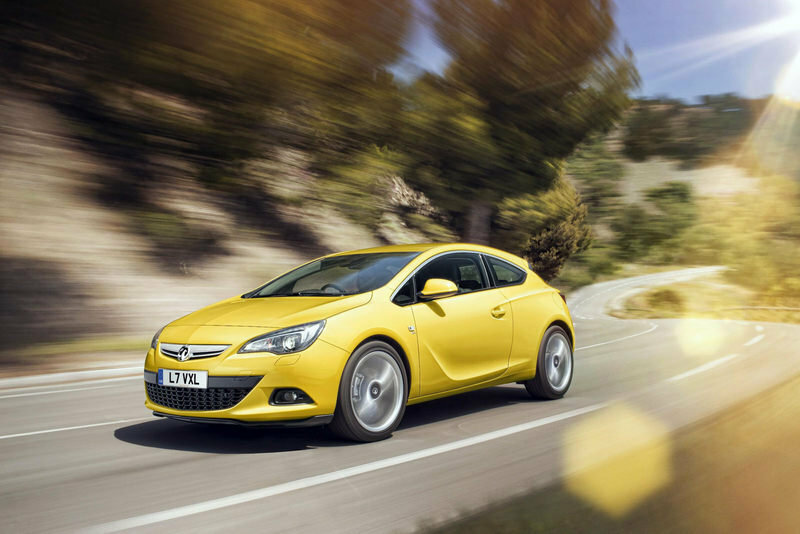 This also opens a wide array of options for Opel/Vauxhall, as the EMP2 platform will allow the Astra L to go for electrification. 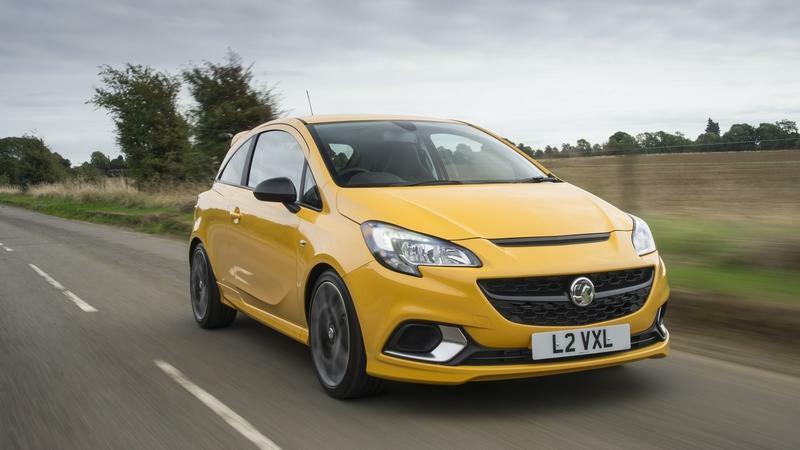 Whether you call it the Vauxhall Corsa GSi or the Opel Corsa GSi, one thing is for certain - the Corsa GSi is one zippy concoction made to make a lot of bang for not a lot of buck. 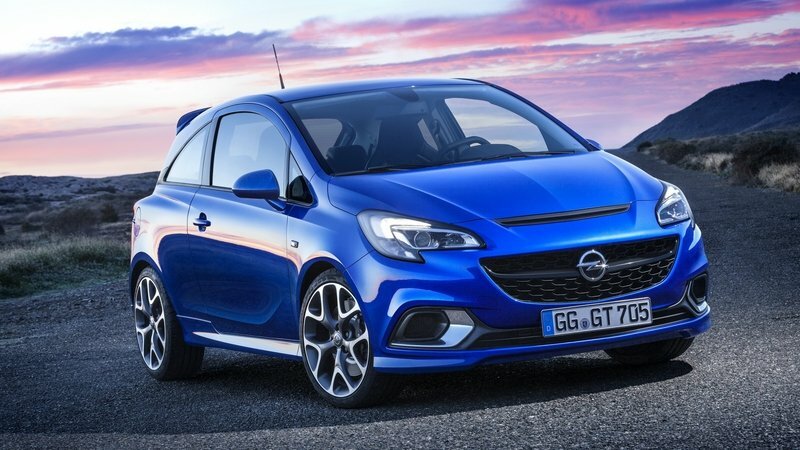 Available in mainland Europe as Opel and in the U.K. as the Vauxhall, the Corsa GSi packs a tiny, 1.4-liter turbocharged, engine, enough power to surge to 62 mph in less than 9 seconds and, with a proper amount of sporty features honed by the OPC, enough character to make you happy. Opel revealed a new car - the GT X Experimental. It is only a concept car, but this term should be used with caution here as this is basically the first car Opel/Vauxhall revealed following PSA Group’s acquisition of the brand by GM less than a year ago. 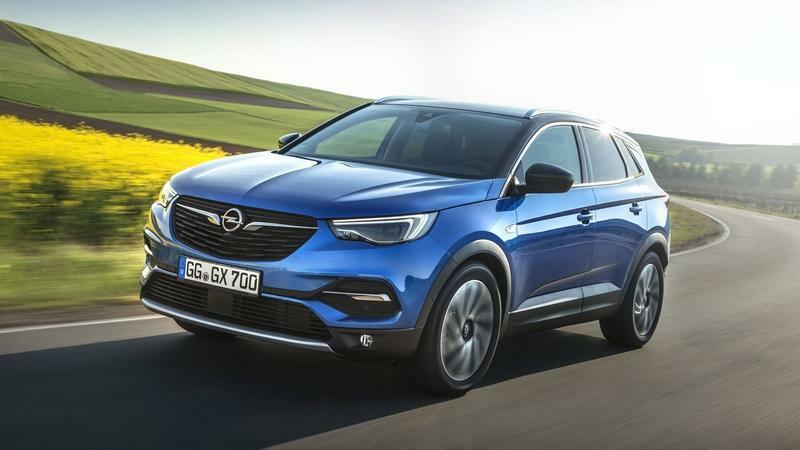 The new pseudo-crossover showcases all the important evolution steps Opel is about to take to transform General Motors ideas into something new. The first ideas are already out. 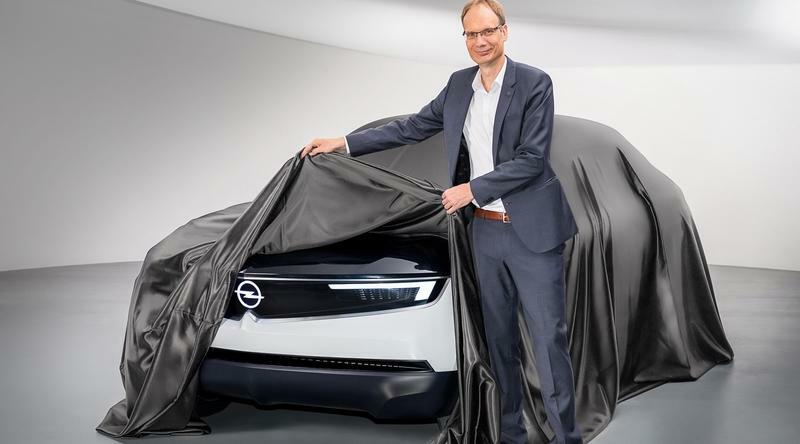 By 2024, Opel will electrify all of its lineup, introduce a redeveloped and unified design language, release a number of crossovers, develop an autonomous driving system, and show a number of new models. Expect replacements for the Corsa, the Astra, and the Mokka, among others. 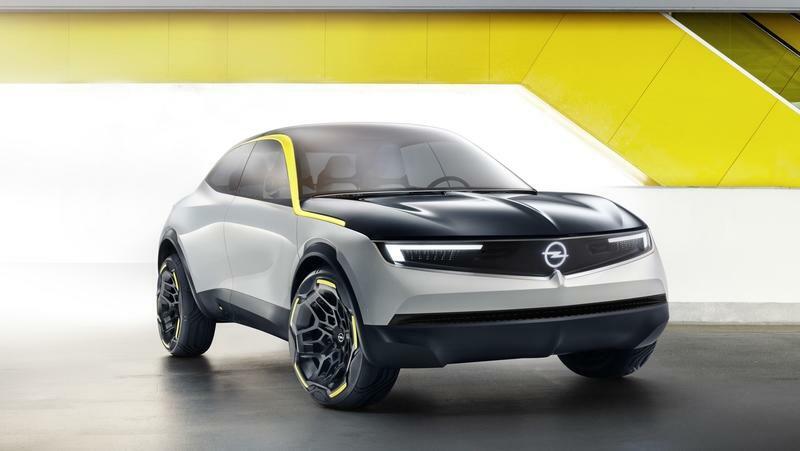 The concept Opel GT X Experimental is the first proper look into that future. After all, the GT X Experimental features an electric powertrain, Level 3 self-driving ability, it is a sort of a crossover, and it gives us a glimpse into the new design language. Obviously, Opel designers took some of the stylistic features from the Opel GT Concept from 2016 and adapted them for the new car as well. What in the Name of Crazy Concepts is Opel Working on Now? Opel and Vauxhall are celebrating their one-year anniversary under the PSA umbrella, and as such, the duo are giving us a glimpse at things to come - specifically, a teaser of an upcoming concept car that’ll inform future production model styling. Looks promising. The Opel Grandland X marks a huge weight off the shoulders of the French automaker. Shackled by the completely underwhelming Antara, the Grandland X arrives with a new and more SUV-friendly design, a larger profile than the Crossland X, and some much-needed heritage from the Peugeot 3008, a car that has surprised a lot of people with its overall offering. The Grandland X is an all-new model, too, providing a much-needed boost for the French automaker in its fight for relevancy in the super competitive world of crossovers and SUVs. Continue reading to learn more about the Opel Grandland X. What went wrong with a company spanning a history of 160 years? 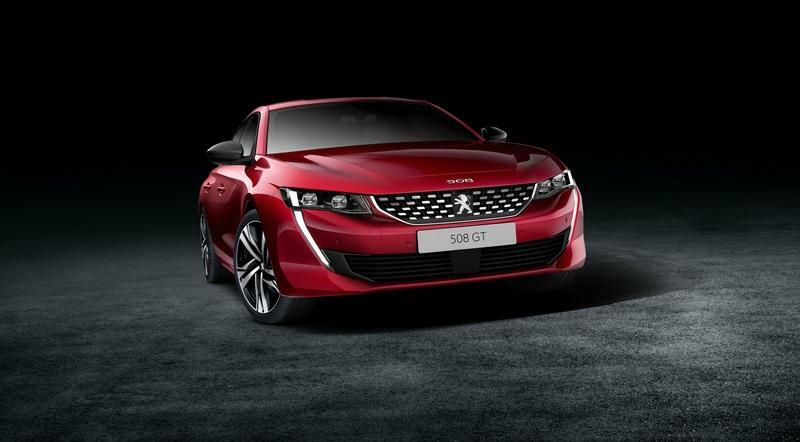 Is PSA Bringing Peugeot, Citroen, DS, Vauxhall, or Opel to the United States? We’ve known for a while that PSA was planning to invade the U.S. auto market and it has, in fact, already done so by kicking off its Free2Move mobility platform in Seattle last year. And, more recently – back in January of 2019 – PSA announced that it had chosen Atlanta, Georgia as it’s home away from home. The next move is adding certain PSA models to various car-sharing services, but PSA has reportedly already chosen what brand it will begin selling in the U.S. first, but we’re not privy to the information quite yet. Want to know more? Keep reading to learn about the change to EU emissions rules in 2021 and what kind of fines PSA is looking at over the Opel and Vauxhall Acquisition. Peugeot parent company PSA Group is looking to recoup close half the amount it paid for Opel and Vauxhall from General Motors on claims that it was misled regarding Opel’s emissions strategy. The French automaker closed a deal with American counterpart on the sale of Opel and Vauxhall for $2 billion. The deal was completed just last month, but now PSA Group is up-in-arms over its claims that GM misled the company into believing that its Opel would miss the European Union’s 2021 CO2 emissions target for passenger vehicles of 95 grams of CO2 per kilometer. Barely a month after taking ownership of Opel, the French automaker now things that Opel would be at least 10kg/km over the limit. German automaker Opel first offered the Insignia in 2008, replacing the Vectra and Signum in its lineup. Also sold as a Vauxhall in Britain, a Holden Commodore in Australia, and the a Regal in China and the U.S., we’ve already seen a fastback iteration of the model offered on this side of the pond as the new 2018 Buick Regal GS. 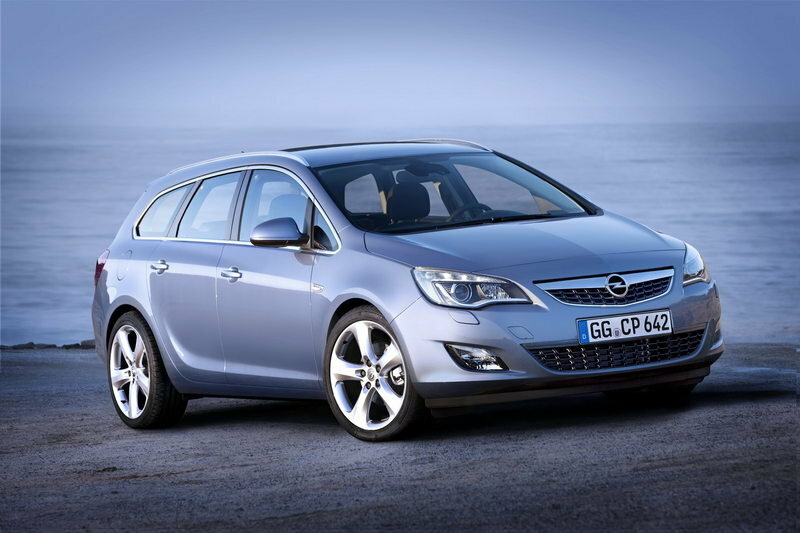 Now, Opel is offering up a hot-to-trot wagon version called the GSi Sports Tourer. The GSi nameplate was pulled from previous go-faster versions of Opel’s street cars, with previous examples including the Manta GSi and Kadett GSi from the mid-‘80s, as well as the Kadett 2.0 GSi 16V and Astra GSi and Corsa GSi. Now, followingw a full reveal at the 2017 Frankfurt Motor Show, there’s a new one that the automaker says was designed to be both fun and practical. Outside, you’ll find long, lean, wide, and horizontal styling elements, while under the hood resides a potent turbo 2.0-liter engine, all of which combines with a substantial amount of space in back for people and things. This is Opel’s new flagship station wagon, so it makes sense the Germans gave it the royal treatment. In fact, Opel is so certain it’ll bring the sporting goods, it included a picture of a racing suit, helmet, and gloves in the back of the trunk in the press shots. But is it really worthy of such connotations? Read on the find out. 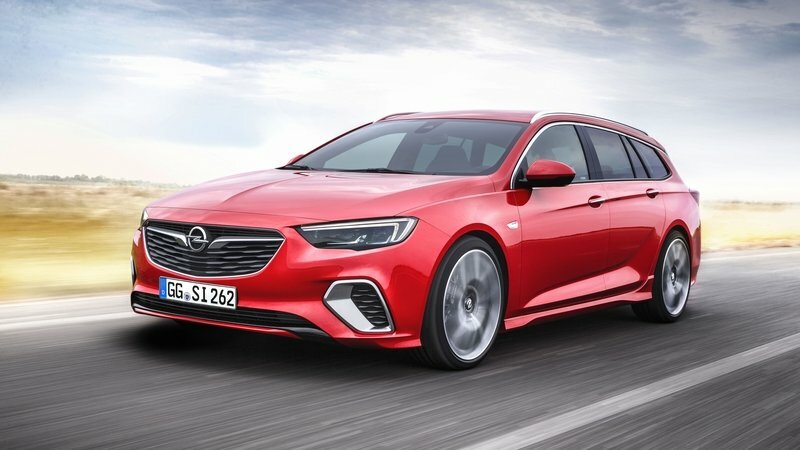 Continue reading to learn more about the Opel Insignia GSi Sports Tourer. After many months of speculation, General Motors and PSA confirmed today that German brand Opel, together with is U.K.-based Vauxhal Motors subsidiary, has been sold to the French company that produces Citroen and Peugeot. PSA will also purchase GM Financial’s European operations in a transaction that’s expected to be completed by the end of 2017. GM will receive €1.32 billion ($1.4 billion as of March 2017) for Opel in the form of €650 million ($689 million) in cash and €670 million ($710 million) in PSA share warrants. An additional €900 million ($954 million) will be paid by PSA and BNP Paribas for Opel’s financing arm, which will be operated by the French bank. The whole transaction is valued at €2.2 billion ($2.33 billion). 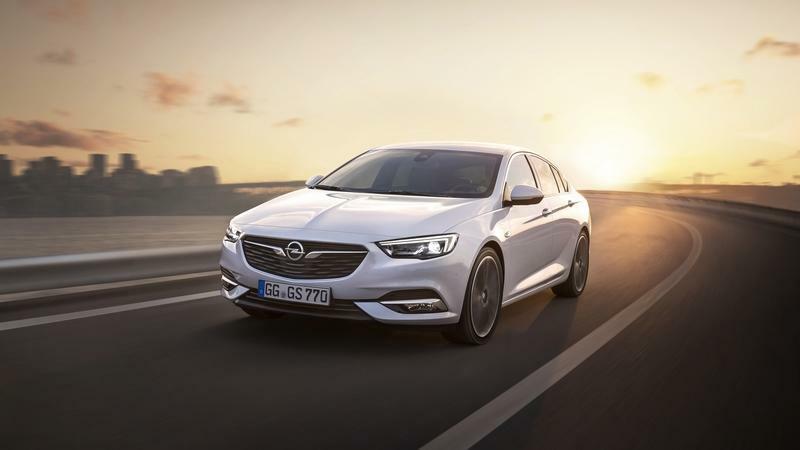 “We are proud to join forces with Opel/Vauxhall and are deeply committed to continuing to develop this great company and accelerating its turnaround,” said Carlos Tavares, chairman of the Managing Board of PSA. “We respect all that Opel/Vauxhall’s talented people have achieved as well as the company’s fine brands and strong heritage. 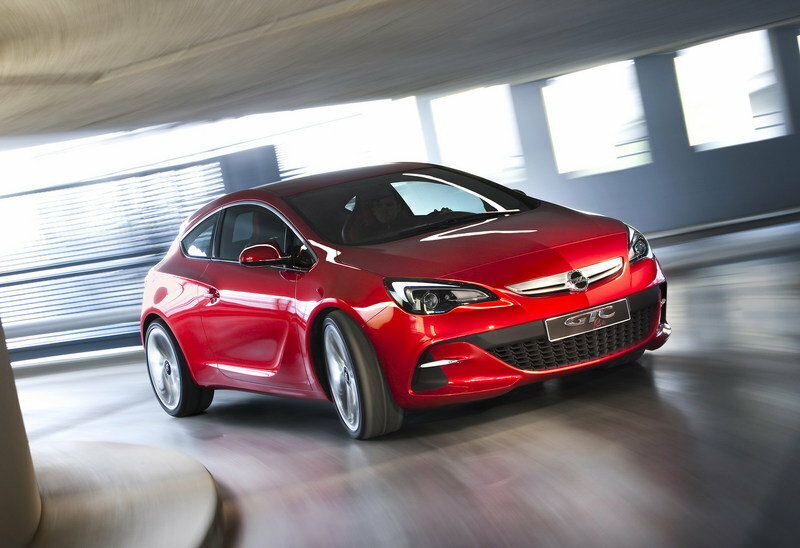 We intend to manage PSA and Opel/Vauxhall capitalizing on their respective brand identities. “For GM, this represents another major step in the ongoing work that is driving our improved performance and accelerating our momentum. We are reshaping our company and delivering consistent, record results for our owners through disciplined capital allocation to our higher-return investments in our core automotive business and in new technologies that are enabling us to lead the future of personal mobility," said GM chairman and CEO Mary T. Barra. General Motors admitted that selling Opel to PSA will free up resources for better opportunities in North America and China, as well as enable the automaker to return cash to shareholders. GM also claims that the European market has become so different from the company’s other major regions that only 20 percent of the vehicles in Opel’s lineup would have been shared with GM products. The company also expects the deal to free up around $2 billion in cash to use toward repurchasing its own shares. As a reminder, GM is in the middle of a buyback effort following its 2009 bankruptcy. 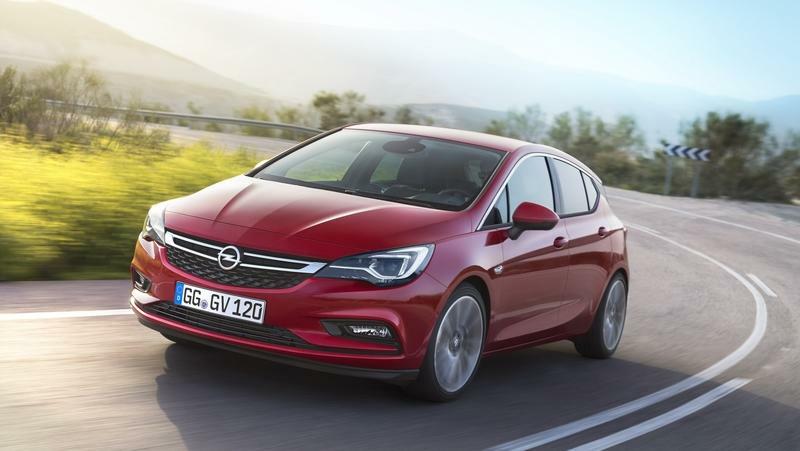 As far as its Buick and Holden brands are concerned, both sharing underpinnings with current Opel vehicles, the German carmaker will continue to provide parts. 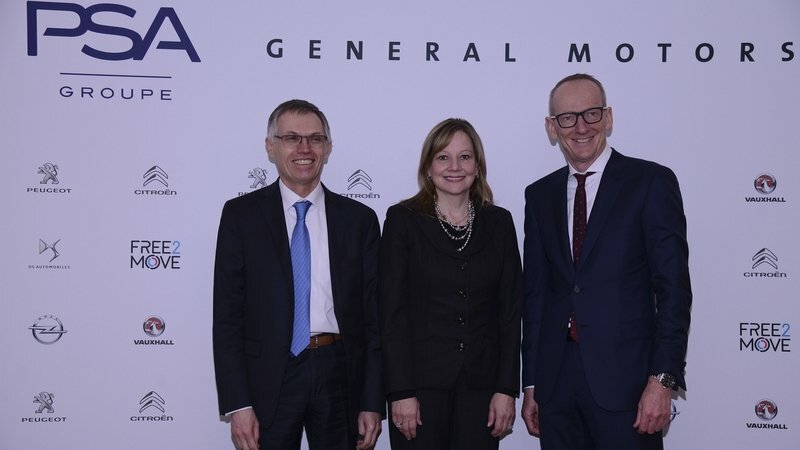 GM and PSA will also collaborate on electric car technology, so it’s safe to assume that the American firm and Opel will continue to have solid ties. However, some Opel models will be restricted from entering new overseas markets, while GM will be similarly barred from selling similar technology in Europe. All told, should GM plan to return to Europe with Chevrolet, it will have to develop its own vehicles without technology from Opel/Vauxhall. PSA, which has now surpassed Renault to become Europe’s second-largest carmaker after Volkswagen, vowed to return Opel to profit after more than two decades of losses. Using the same strategy that saved PSA from going under, the French are targeting a two-percent profit by 2020 and six-percent profit by 2026. At the same time, PSA predicts joint cost savings of around €1.7 million ($1.8 million). According to Tavares, the next-generation Opel Corsa will be the first vehicle to benefit from the new joint-venture. 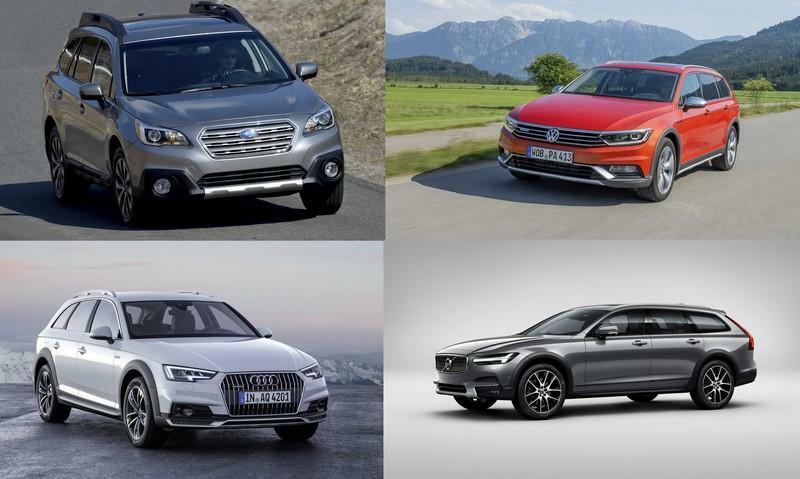 The subcompact will arrive in 2020. When it comes to major automotive offerings from Germany, Opel isn’t usually the first name to pop up. But it isn’t for lack of trying – the brand is well established across several international markets, with its flagship Insignia sedan leading the charge, packing premium touches at a bargain price point. Originally unveiled in 2008 at the British International Motor Show, the mid-size Insignia hasn’t failed to make the sale, with over 900,000 units moved since its introduction and a variety of accolades awarded. Now, as we quickly approach 2017, Opel says it’s dead-set on launching 17 new models, including the new-generation Insignia. Boasting a lower curb weight, more technology, a new architecture, and new styling, Opel’s next-gen flagship clearly isn’t pulling any punches. The whole thing draws heavily from the brand’s Monza Concept, revealed in 2013 at the Frankfurt Motor Show. The new Insignia is tasked with introducing the production side of Opel’s latest design philosophy evolution, and as such, it’s adopting a new name – Grand Sport. It’s a title that should only be reserved those models that offer superior comfort and style for the long haul, plus adequate (or more than adequate) prowess and speed when the feeling is right. Does the new Insignia fit the bill? Well, one quick glance at the spec sheet suggests it’s at least heading in the right direction. 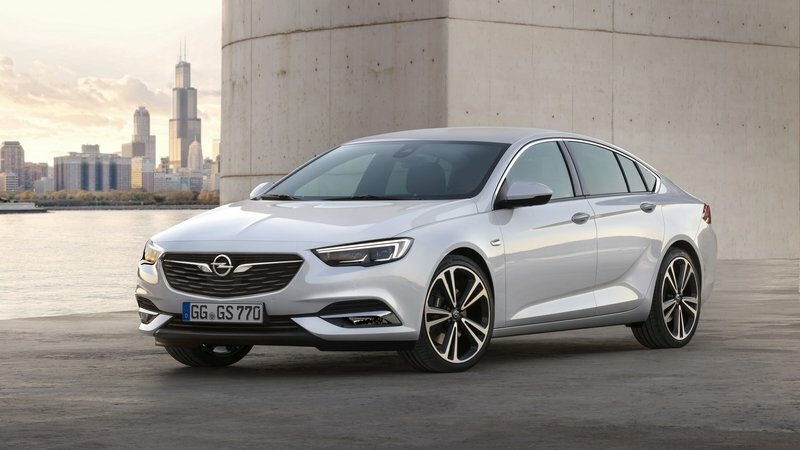 And that’s a good thing, because the Insignia is much more than just an Opel – swap the badges and tweak some of the equipment, and it’s a Vauxhall in the U.K., a Holden Commodore in Australia, and a Buick Regal in China and the U.S.
That makes this car extremely important to several big names, not just Opel. But the question remains – does it have what it takes to get out of the shadow of the Big German Three? Continue reading to learn more about the Opel Insignia Grand Sport. Introduced in 2008 as a replacement for the Vectra, the Insignia is Opel’s range-topping sedan and is sold in North America and China as the Buick Regal. Built on the same Epsilon II platform as the Chevrolet Malibu, the Insignia also spawned a wagon version, as well as a crossover-like model with higher ground clearance and plastic cladding. Already eight years old as of 2016, the first-generation Insignia is being replaced by a brand-new model that has been spotted in prototype form as far back as 2015. While the sedan has shown up on public roads on many occasions and ditched some of its camouflage in the process, the wagon version, also known as the Sports Tourer, has finally been caught testing for the first time. Set to bow a few months after the four-door model, the new wagon could finally make it on U.S. soil with a Buick badge according to rumors that have been swirling around since 2015. The crossover version, called Country Tourer in Europe, could also cross the pond as the Regal Tourx, a name Buick trademarked with the U.S. Patent and Trademark Office. The new Insignia could also find its way to Australia as the next-generation Holden Commodore now that GM decided to cease all manufacturing Down Under. 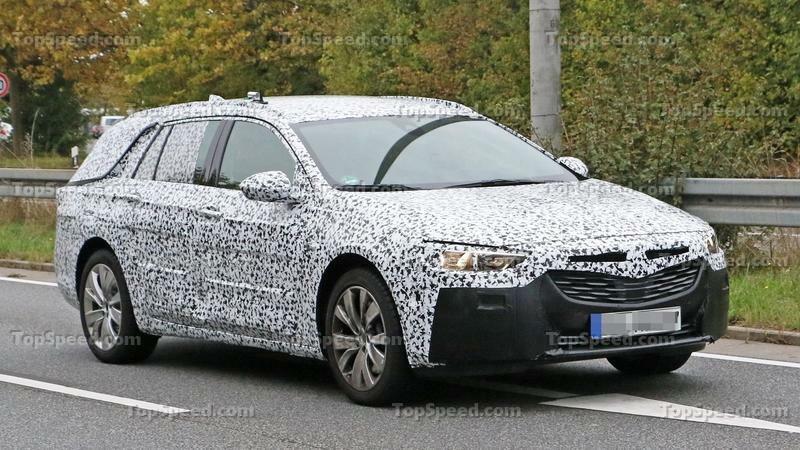 Details as to what the new Insignia Sports Tourer will bring to the table are still scant, but until Opel reveals preliminary data, let’s have a closer look at what we already know about the upcoming German wagon. Continue reading to learn more about the upcoming Opel Insignia Sports Tourer. Opel introduced the fifth-generation Corsa in 2014, replacing a model that was sold in various markets around the world for around eight years. 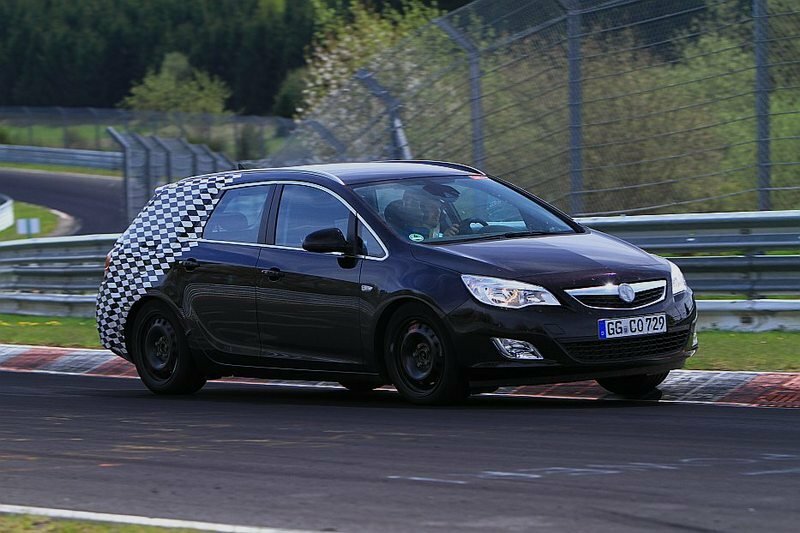 Despite the new Corsa being a new car, Opel is already working on the next-generation version. Although it may seem a bit awkward, the reason for that is very simple: the current Corsa isn’t exactly new. Even though every single body panel has been redesigned, the fifth-gen car is actually built on the same architecture, shared with the Fiat Punto, which makes it more than ten years old. Likely to arrive next year, the new Corsa, also known as the Corsa F, will replace the current E model for the 2018 model year. 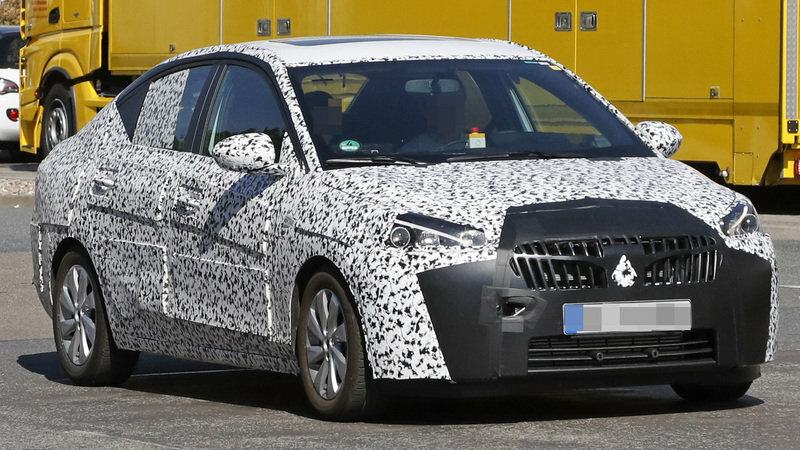 As of October 2016, the compact is still being tested, and as you’ll notice from the spy shots we just received, the car is camouflaged from bumper to bumper. Although the hatchback is the most popular version of the car in Europe, we’ll discuss the sedan here. Not only an important vehicle for Opel on emerging markets, the four-door Corsa will also spawn a new General Motors vehicle. The vehicle in the spy shots suggests a Buick version, but a Chevrolet is more likely. The "waterfall" grille is obviously a fake element that comes with the camouflage, but more importantly, Buick’s Chinese equivalent of the Corsa, the Sail, was rebadged as a Chevrolet a little more than a decade ago. Unless GM is planning to revive the Buick Sail and give the brand a subcompact vehicle in China, the sedan we’re looking at will only get Opel, Vauxhall, and Chevrolet logos. Continue reading to learn more about the Opel Corsa Sedan. 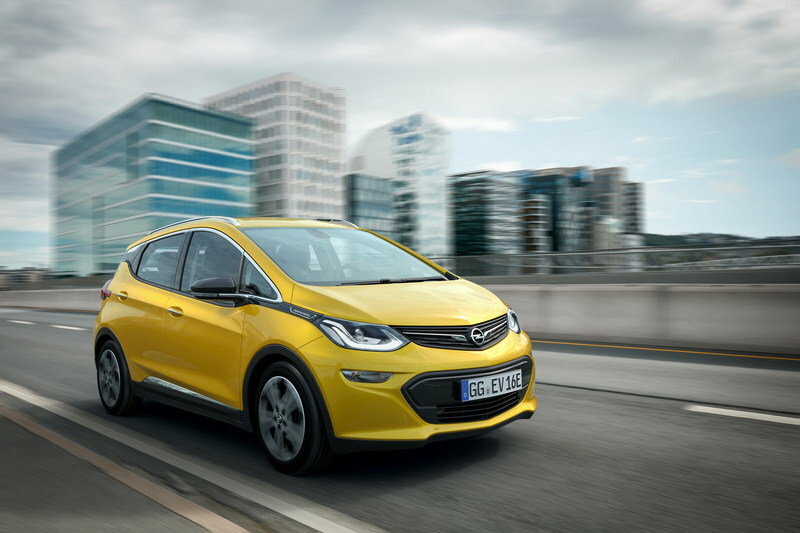 When Chevy announced the Bolt EV back in January, we knew that eventually Opel and Vauxhall would follow suit. It took a while, but we eventually started seeing spy shots of the Opel version, which is, of course, being called the Ampera-e. We knew from the spy shots that the Ampera-e would be nothing more than a rebadged Bolt EV, and sure enough, it made its debut at Paris looking identical to its American cousin with the exception of some different badging. The good news is that the Ampera-e gets the Bolt’s advanced electric drivetrain that promises around 236 miles on a single charge. It does pack a pretty interesting and spacious interior with features like Bluetooth phone connectivity, a 4G LTE Wi-Fi hotspot and a navigation system with EV-optimized routing. If that electric range sounds familiar, that’s because it’s identical to that of the Bolt EV here in the U.S., which means that we know for sure it not only looks the same but is motivated by the same powertrain. But, that’s okay when it comes to the competition as the Ampera-e will beat out just about every other EV out there as far as range goes Competition from competitors like the Fiat 500e, Volkswagen e-Golf, and Renault Zoe is strong, but none of them offer up more than 200 miles on a single charge. 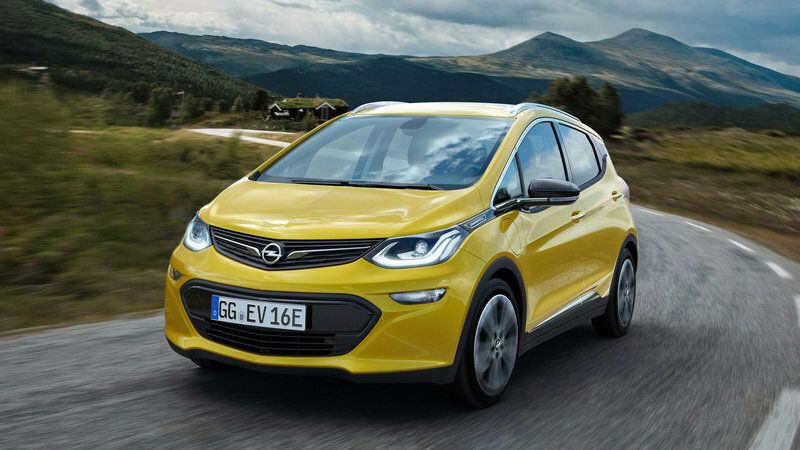 With the original Ampera being a complete flop for GM, the Ampera-e may be able to save the name if Opel can actually get customers to give it a try. With that said, let’s take a closer look at the new Ampera-E and talk a little more about it. Continue reading to learn more about the 2017 Opel Ampera-e.
American cars rarely take center stage at European auto shows, but it has happened quite often in recent years, especially with the sixth-generation Ford Mustang and several Cadillac nameplates going global. This year’s Paris Motor Show will also feature a number of American vehicles, one of which is the Chevrolet Bolt. However, don’t go looking for it at the Chevy booth, as the compact electric car will sold in Europe under the Opel badge. And it will called the Ampera-e. If the name sounds familiar, it’s because Opel is already using it for the Euro-spec version of the Chevrolet Volt. But the extra "e" in the name makes quite a difference, hinting that new hatchback features an all-electric drivetrain. And, much like its American sibling, it promises to return an impressive range. Specifically, Opel claims that the Ampera-e will be good for at least 500 km (310 miles) on a single charge. That’s at least 100 km more than any other vehicle in similar segments can offer and some 200 km more than the BMW i3. However, that 500-km range might not be reached in the real world. After taking into consideration factors such as road characteristics, weather conditions, driving style, and load, Opel concluded that the Ampera-e can travel for more than 380 km (236 miles). The impressive range also comes with strong performance figures such as a 0-to-50 km/h (31 mph) sprint of 3.2 seconds and a top speed of 150 km/h (93 mph). All these figures are courtesy of the 60-kWh battery and the 204-PS (201-horsepower) and 360-Nm (266-pound-feet) electric motor. Opel’s new electric car is scheduled to arrive in showrooms in 2017.